What if you were murdered? And what if by supernatural intervention you are given the chance to help the police find your killer? This is what happened to rookie police officer Ben Walker after he and his girlfriend , Liz Mason became victims of a callous and brutal attack by Daniel Boyd, a grudge bearing drop out, and his gang. Ben's body lay alongside Liz, who was unconscious and barely alive at the bottom of Mill Tut, a Bronze Age burial mound in the beautiful Badock's Wood in Bristol. DCI Markland Garraway, who at the last moment is brought in to lead the investigation into Ben's murder, has a reputation of being a maverick detective who thinks outside the box. The mystical powers of the ancient burial mound begin to influence Garraway's attitude towards the case and soon he is alienated by his colleagues. 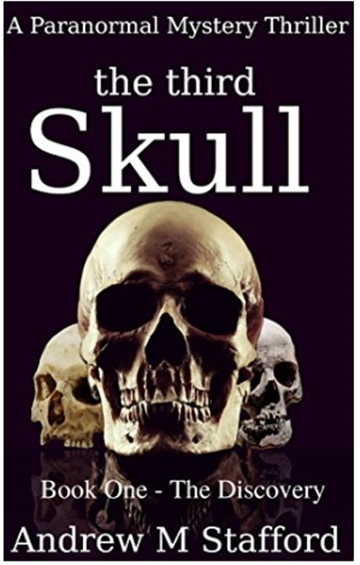 Mill Tut, or The Hill as Garraway refers to it, opens up a Pandora's Box of supernatural happenings which infiltrate his waking and sleeping life, creating a host of mental and physical demons which the Scottish detective must learn to deal with. Daniel Boyd has fled Bristol to evade capture for the crime he has committed. To those who know him he's vanished off the face of the earth. But can he escape the mystical powers of The Hill? The Power of The Hill does not only affect Garraway. It reaches out to many, including Christopher Jameson, who was born at the precise time Ben's life ended. The Hill reveals to Garraway and the others who are affected by its influence, the world for what it is; a place where the impossible is real, and the dead speak with the living. This is Book One of Two Books which concludes with The Hill - Carla's Story (Book Two) which is available from my Amazon store. Andrew M Stafford lives In Bristol, England with his wife and children. Andrew's first book, The Hill, has been a hit on Amazon since it was published in January 2015. The Hill is a paranormal murder mystery thriller. 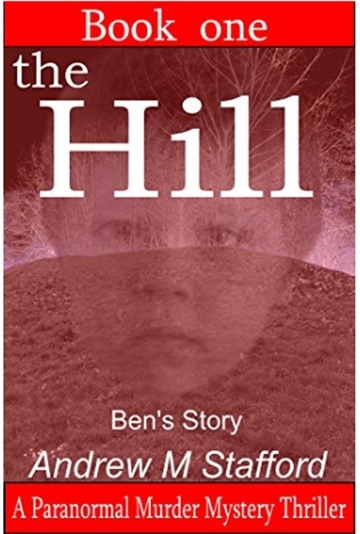 In the summer of 2015, Book One of The Hill, Ben's Story, was the number one download on Amazon in the USA in its genre. The Hill continues to sell well around the world. 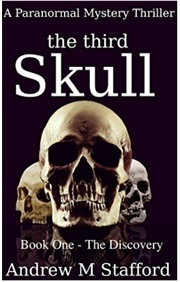 Andrew's second book, The Third Skull, was published in April 2016. It is also a paranormal mystery thriller. A genre which he enjoys writing. 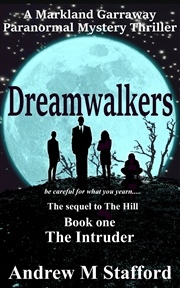 His third book, Dreamwalkers, was published in May 2017, and by popular demand is the sequel to The Hill. All of Andrew's books are available in two options. A free first book, which is 50% of the full story. If readers have enjoyed book one, they then have the option to purchase 'book two' which continues seamlessly and concludes the story. When not looking after his family and writing, Andrew sells his paintings and plays guitar in bands. Reviews of the Omnibus edition of The Hill (Containing both Book One and Book Two) from Amazon UK. What a fantastic book. I have been reading books for 50 +years and never ever have I come across anything like this one. I just had to keep reading and reading. The plot was unlike anything I have ever encountered. Very well thought out and even believable. I was constantly asking myself if the story could be based on truth it was so convincing. I find it hard to believe this was the author’s first book. by this author. Well done Andrew Stafford. This is a truly excellent book and a page turner from start to finish. It has a gripping plot and holds the attention all the way through. I can thoroughly recommend it as an excellent read. I loved this book and couldn't put it down. .would make a fabulous mini series or film.. highly recommend. .
One of the best books read lately really enjoyed it both story and writing ,HOPE that there will be another book soon.